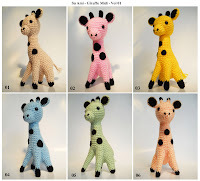 Bingo is made of acrylic yarn, polyfil, safety eyes and her legs supported by soft plastic tubes, wearing a black yarn bridle and her noses are hand embroidery. 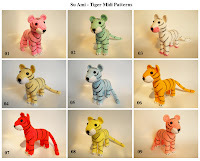 Bingo comes in a standing position which allows her to be displayed on tables, window sills, on shelf or hanging on wall as a decorative picture. 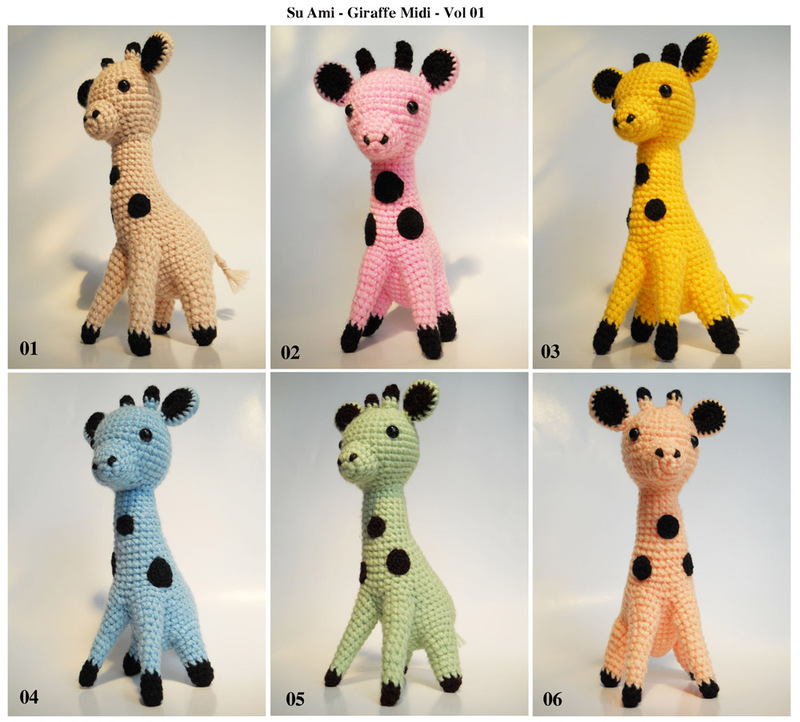 The new version of “Kao” baby Giraffe has been created a new crochet technique and polyfil stuffing without using the plastic bones or any wires inside of legs to keep the high giraffe posed up straight, allows him to be displayed on tables, window sills, on shelf or hanging on wall ( in PVC box). 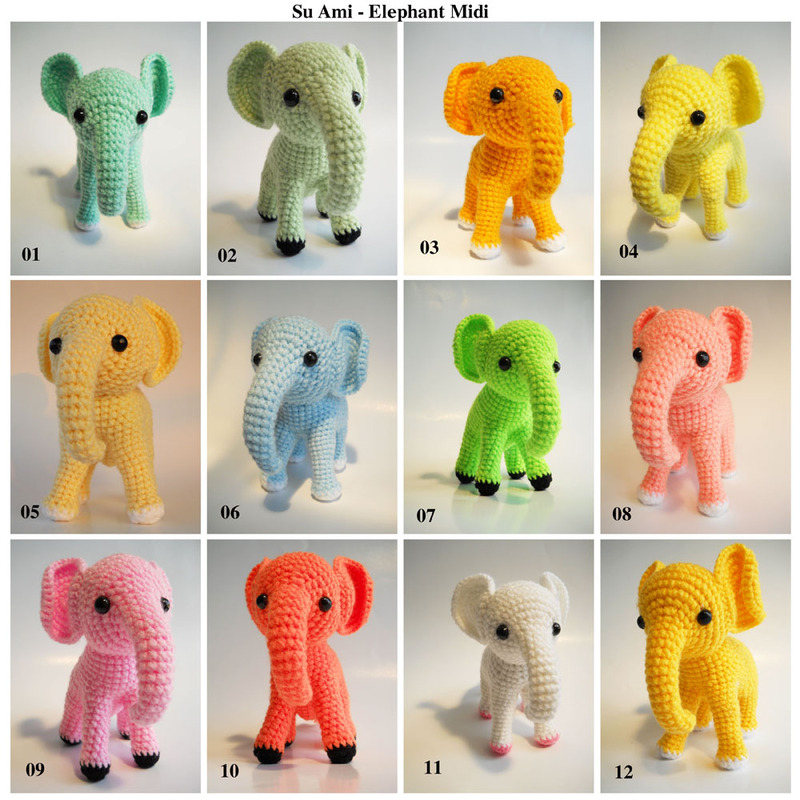 Elephant Bambi comes in a standing position which allows her to be displayed on tables,shelf, window sills or hanging on wall as a decorative picture. 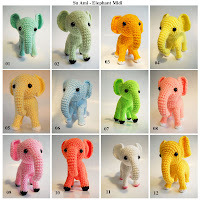 + Baby Elephants “Bambi” are made of acrylic yarn, polyfil, safety eyes. 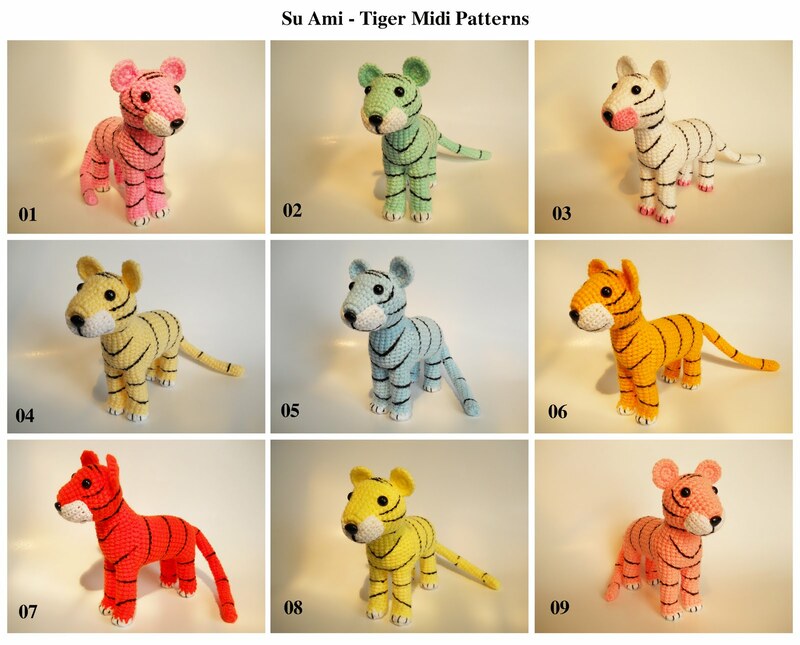 They stand at 5.6" (15 cm) height, with a 5.6" (15 cm) length.